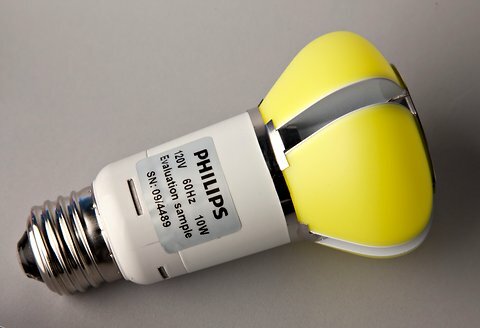 While Philips currently has an LED equivalent of the beloved 60 watt incandescent, their L-Prize winning prototype, submitted in 2009 to the DOE, is far more efficient. It uses just 9.7 watts to match the light output of a 60-watt incandescent, compared with 12.5 watts for the current LED incandescent replacement lamp already being sold at hardware stores. It boasts a 25,000 hour lifespan, versus the 1,000 – 2,000 hour lifespan of a regular incandescent lamp. This version is also closer in colour temperature to a real incandescent lamp, though it achieves this colour similarity by its yellow coated exterior which is highly visible when not illuminated and a little bit of an eyesore. 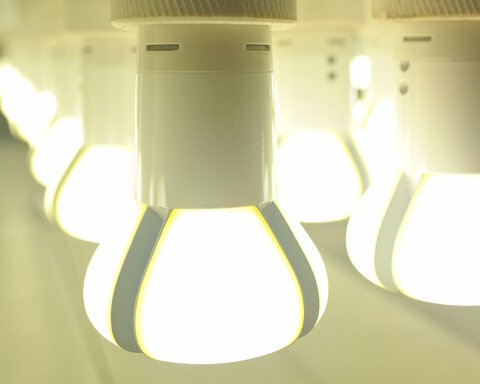 Questions of cost are always at the forefront of discussion about LED’s as becoming viable household alternatives to incandescents, and more importantly, to the mercury filled compact fluorescent bulbs that are expected to eclipse them. The going price for the presently available Philips LED 60 watt incandescent equivalent is $40 retail, and this new lamp will likely be more costly than that. Check out the official specs for this bulb here. This entry was posted in Education, Events, Industry News, New Lights, Press, Technical Lighting, Technology and tagged 60 watt incandescent equivalent, DOE Contest, L-Prize, LED 60 watt incandescent equivalent, LED incandescent equivalent, LED lamping, LED technology, Philips, philips wins prize. Bookmark the permalink.